Two wonderful books have recently crossed the bigbookcase desk. Both have been at the centre of publishing industry hype via strong sales, awards and/or film options. Having now read these books, they clearly both deserve every second of hype and more. If it is time for you to spoil yourself with a new book, head to your local bookseller for one (or both) of these titles. And don’t walk, run. Professor Don Tillman is a quirky man: logical, organised, intellectually brilliant yet utterly socially awkward. Don clearly displays elements of Asperger’s syndrome or high-functioning autism, a fact which is evident to everybody except him. The premise of The Rosie Project is that a very logical Don realises he is lonely and sets about to rectify this problem in a very scientific manner, devising a questionnaire to screen future candidates for the position of his wife. Yet love is the least scientific of all the human elements and Don finds himself in all sorts of bother, especially when he meets Rosie. Simsion began this book years ago as a screenplay, and after a somewhat roundabout voyage his project ended up as a novel and the feel good hit of 2013, with the rights being sold in over thirty countries. After its original inception as a screenplay it is ironic that after the success of the book, the film rights have been promptly optioned by Sony Pictures. 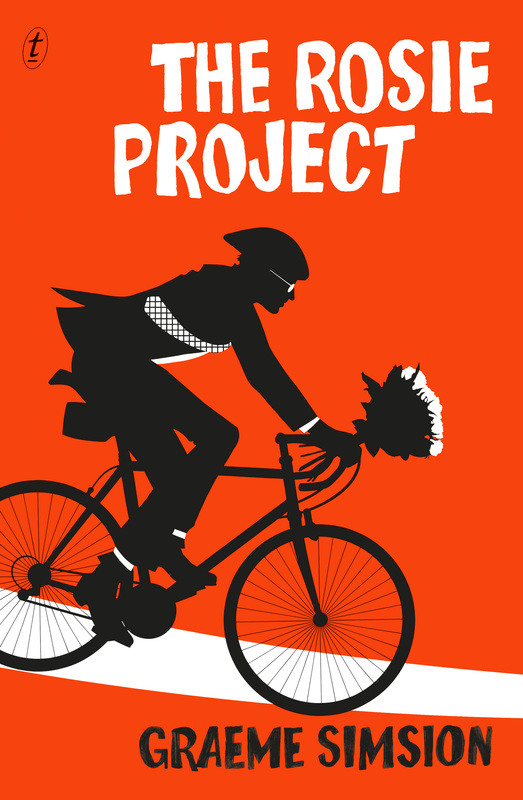 The Rosie Project is utterly charming, heart-warming and laugh out loud hilarious. It is a novel about human relationships in all their forms, and about the power of love to overcome almost anything. Harold Fry is a retired Englishman, barely existing in a repetitive and melancholic fashion with his wife Maureen. One ordinary morning he receives a letter from an old colleague Queenie, who informs him that she has a terminal illness. On his way to post a reply, Harold decides to walk to the next post box, then the next and suddenly he has embarked upon a pilgrimage to walk from one end of the country to the other. He believes this act of faith will save Queenie. As he walks, Howard slowly comes to life. This gentle and, as we discover, damaged man undergoes a significant transformation as he methodically puts one foot in front of the other. The reader becomes aware of many Christian references as the novel proceeds: faith, pilgrimage, discipleship, love and redemption. Howard revisits the painful aspects of his life, including the troubled relationships with his son and wife, and we share his grief. During his journey Harold meets a succession of eclectic characters, and eventually word of his pilgrimage leaks to the media and suddenly Harold’s humble journey turns into something more. Yet its ultimate purpose remains unchanged and the final scenes will bring more than a tear to your eye. As a debut novelist, Rachel Joyce has achieved something very rare – a novel examining the very core of human existence which still manages to be joyous, inspiring and utterly exhilarating. No wonder it was long listed for the 2012 Man Booker prize. 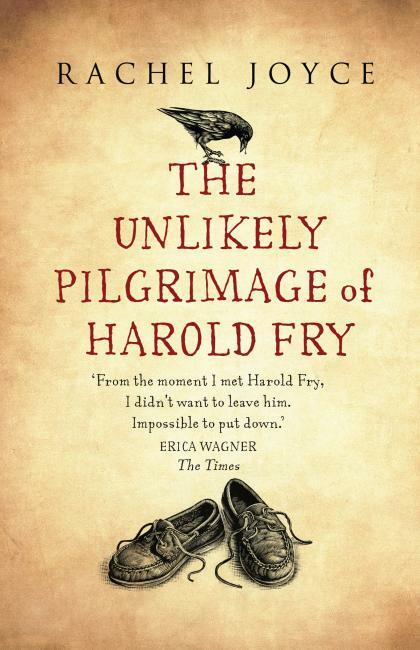 The Unlikely Pilgrimage of Harold Fry will make you laugh yet it will break a little piece of your heart. Touching and ultimately uplifting, Joyce’s prose is deceptively simple yet utterly moving. If you read just one book this year, make it this one. This time of year is a joy for avid readers. Here in the southern hemisphere we are blessed with summer holidays where we visit the beach, laze around the pool, or enjoy the test cricket during these long, relaxing summer days – which all adds up to the perfect environment in which to indulge in a little reading. 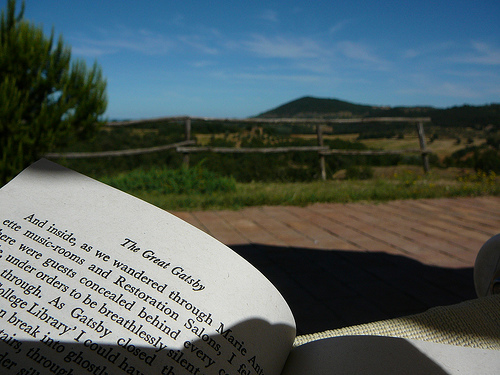 It is a time of year where I can read for pleasure, not work. In my Christmas stocking this year there were two very different books, both of which I requested and both of which I have already devoured. The first was by my favourite holiday reading author: Maggie Alderson. Her latest book, Everything Changes But You did not disappoint. Set in England, it investigates a problem experienced by many individuals and couples in the modern world: the tyranny of distance. The plot revolves around families, relationships, love and secrets and as is usual with Maggie Alderson’s work, I devoured her book in two days. Bravo Ms Alderson. (For those who would like to read more of Maggie Alderson’s work, I would highly recommend one of my favourite summer reads of all time: Shall We Dance? which is mentioned here). The second book in my Christmas stocking is one which I have been eagerly anticipating: the sequel to Hilary Mantel’s Wolf Hall: Booker Prize winner Bring Up the Bodies. I finished this late last night and feel bereft at the end of this reading experience. This is one of those books where the reader savours every word, every nuance, every morsel offered by the author. Bring Up the Bodies is the second book in the trilogy exploring the life of Thomas Cromwell. This volume covers the fall from grace of Anne Boleyn in the court of Henry VIII. Though dense in its subject matter the tension is palpable and Mantel manages to neatly convey all the treachery, danger and subterfuge of Henry’s court. During this holiday season my family has joined me in indulging in my favourite pastime. Husband has finally discovered Lee Child’s Jack Reacher series and is speeding through each book faster than I can supply the next. Teenage daughter no. 1 has just finished the sublime Jasper Jones by Craig Silvey (this will feature in a future post about Australian novels) and teenage daughter no. 2 is currently knee-deep in Rick Riordan’s The Mark of Athena. Books have played a major role in my life for as long as I can remember. They have been my friends in times of loneliness and my solace in times of suffering. They have accompanied my on every holiday and their pages hold the treasured memories of my youth. So it was rather unnerving earlier in the year to find that I had lost the desire to pick up a book and I virtually stopped reading. The reasons for this still remain unclear. The logical explanation of course is that as I am surrounded by books all day at school, and as I read constantly for my work and this website, I finally became overwhelmed by the surfeit of books in my life. Perhaps like the chef who comes home and makes a simple sandwich for dinner or the plumber who can’t be bothered to change a leaking tap, this teacher librarian finally came home and decided she couldn’t bear to open the cover of yet another book. Strictly speaking, I did actually open the cover of a book. Many books. I even started reading numerous books. The trouble was I could not develop the slightest interest in any book, leaving countless novels discarded, unfinished and heartbroken. Like a shallow flirt I casually read a few chapters before tossing each and every book aside. Alarmingly, the number of books I discarded began to outnumber the books I actually finished reading. There were a couple of successes. In September I read and finished The Reluctant Hallelujah (you can read the review here). In the October school holidays I read Anna Karenina, but this was no true victory. I first read Tolstoy’s masterpiece some twenty years ago so re-reading it was more like catching up with an old friend rather than forging a new relationship. For just as there is no need to establish an old friend’s background and history at a reunion, the same can be said of a re-read: the plot, characters, language and even the rhythm are stored somewhere in the recesses of your reading past. Reading and finishing Anna was a hollow victory; meanwhile the pile of books I began and failed to finish kept on growing. Beginning to despair, I turned to an as yet unread author and page by page my dejection was cautiously transformed into elation. Success! Within a couple of a chapters I was thoroughly hooked. With eager joy I began to look for stolen moments in my day when I could sneak away with my new friend and at night I read far too late, eagerly turning the pages to inhale more of the story. And when I eventually turned the last page of the book, I felt bereft and mourned the loss of my latest literary companion. The bewitching book that broke my reading drought was Kate Morton’s The Secret Keeper. Kate Morton is an Australian author who has had international success beginning with The Shifting Fog (also known as The House at Riverton). 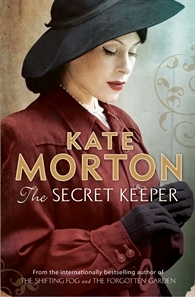 The Secret Keeper is best described as historical mystery, alternating between the story of famous actor Laurel Nicholson in 2011 and the life of her mother during the Blitz in 1941. Despite the historical label, Morton does not weigh the story down with historical detail; the perfectly researched history simply adds a natural supportive structure to the narrative. And the narrative is superb. I became absorbed in the intertwined lives of the characters and the secret which is introduced early in the piece. About two-thirds of the way in I thought I had solved the mystery, but to my delight I was totally wrong and the twist was surprising yet totally satisfying, allowing all the pieces to fall into logical and satisfying place. Morton is a discerning and gifted writer who cleverly unravels the plot, piece by piece, displaying an astute insight into the foibles of the human character and the secrets hidden deeply in the past of all families. This was my first taste of the sublime Ms Morton’s talent, and it has whetted my appetite for more. Bless you, Kate Morton for breaking my reading drought. 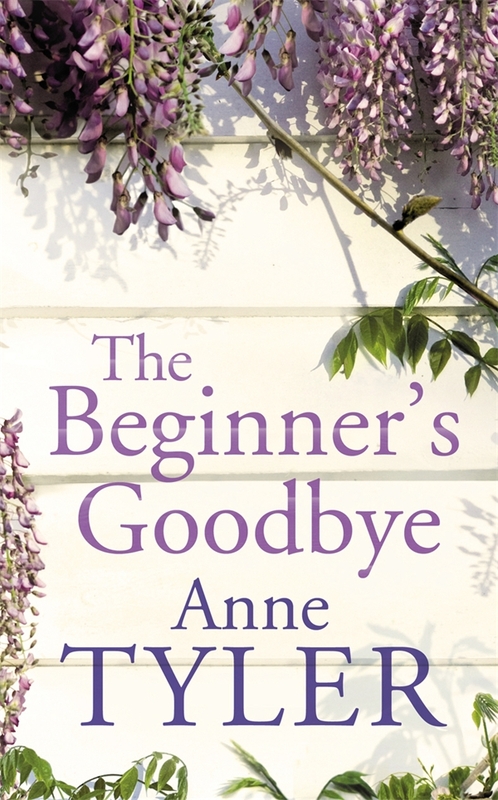 Pulitzer Prize winning author Anne Tyler has returned to her characteristic writing best in The Beginner’s Goodbye. Admittedly I was a little underwhelmed with her last offering Noah’s Compass, but she has returned with trademark stylish simplicity in The Beginner’s Goodbye. Having just turned the last page, I am already mourning the end of a marvellous read. Tyler’s talent is to take the everyday and write about it in the most beautiful and unordinary fashion. In The Beginner’s Goodbye she introduces us to thirty-something Aaron Woolcott whose wife Dorothy dies in unexpected circumstances. As we live through Aaron’s initial shock and mind-numbing grief, Tyler gifts the reader with descriptions of simple beauty and clarity which perfectly depict his situation. For instance, upon returning to his empty house which only that morning he had shared with his wife, Aaron goes into the kitchen and see a cup left it in the sink, reacting with a simple yet painfully poignant thought: “Sometimes the most recent moments can seem so long, long ago”. Later, as he deals with the cocoon of goodwill which threatens to suffocate him, he thinks: “That was one of the worst things about losing your wife, I found: your wife is the very person you want to discuss it all with”. As Aaron wanders somewhat aimlessly through his grief, he begins to experience occasions where Dorothy returns to him; he sees her, can feel her presence and he can converse with her. This is the crux of the The Beginner’s Goodbye: whether a dead spouse can return to a grieving spouse’s consciousness. We are left to make up our own minds about whether Aaron imagines Dorothy’s return, or if it tangibly occurs, but Tyler leaves us in no doubt as to the purpose of her return. This novel is beautifully written in Tyler’s inimitable style. Aaron is a somewhat prickly protagonist, however it is difficult not to sympathise with him. The cast of supporting characters are intelligently drawn and all have their part to play in Aaron’s grief and recovery. The ending will no doubt be passionately debated by book clubs far and wide, but I adored it. Tomorrow is Mother’s Day in my part of the world. In preparation for this, one of my children invited me to shop for my own gift – a truly wonderful invitation. Of course I headed straight for my local bookseller. Regular readers of bigbookcase will have noticed that I have long been a fan of Anne Tyler. She appears in my Top 10 favourite books of all time and my Top 10 book openings. What I most enjoy about Tyler’s writing is the way in which she manages to portray everyday life in the most sublime and beautiful language. In a Sydney Morning Herald review Kerryn Goldsworthy describes this as “Tyler’s trademark tenderness for her fellow human beings, a generosity unsullied by sentimentality”. Atonement by Ian McEwan – because I’ve seen the movie but have not yet read the book. To Kill a Mockingbird by Harper Lee – because whilst I’ve read it a couple of times, I have never actually owned this novel and decided my book collection would not be complete without this classic. This means of course that I will be revisiting the world of Atticus, Jem and Scout in the near future. Anna Karenina by Leo Tolstoy. As a schoolgirl I devoured many classics, including this one. Some, like Austen, I have re-read many times over the years and I am always delighted to see how my interpretation changes according to my own life experience. As a woman who has faced all the joy and pain of life, the passion and the love, the grief and the sorrow, I am keen to measure my adult response to Anna Karenina compared to that of my teenage self. This short novel is set in the late 70’s/early 80’s and is literally peppered with music and pop culture references from the era. 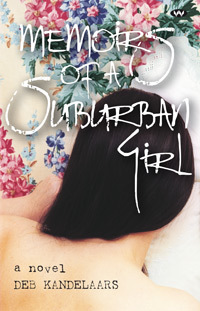 The suburban girl of the title is probably one to whom many a Generation X reader can relate – she lives in the suburbs, works in a rather nondescript job by day and enjoys a disco at night. The enjoyable trip down memory lane (complete with references to Holdens and Datsuns, Kambrook curling wands and Kavli biscuits) stops abruptly for the reader as the tale of the girl’s burgeoning relationship with a much older and violent man begins. Whilst marketed as a work of fiction, the book is based on the real life story of Kandelaars. It is not an easy or pleasant read, with Kandelaars graphically depicting all the irrationality and ugliness of an abusive relationship. After reading the press, I was hoping the book would offer me some insight into the reasons women stay with violent men. It soon became apparent that Memoirs of a Suburban Girl was not going to provide me with definitive understanding. Sadly, the story becomes somewhat cyclical and a pattern emerges of the suburban girl enduring abuse after abuse. Rather than empathise with the protagonist, it becomes increasingly difficult for the reader to forge a relationship with the suburban girl except for a rather odd emotional detachment. Perhaps this is due to the fact that the novel is written in the second person, which is distancing and leaves the reader feeling as if they are observing the characters from afar. Inexplicably, the second person narration becomes compelling and the reader surmises that using this technique may indeed be the only way in which the author could have shared her disturbing history. Disturbing it is. This is not a book for younger teens, it would, however, be appropriate for senior students. It would be an excellent related text for the English Area of Study ‘Belonging’ for NSW Higher School Certificate students. Kandelaars is a talented author and there are many techniques for HSC students to discuss, such as how the choice of second person narration creates a sense of detachment and alienation, illustrating the extent to which the suburban girl does not belong in her chosen environment. Edited by Andrew F. Gulli and Lamia Gulli. Published 2011, Simon and Schuster. No Rest for the Dead should actually be called No Rest for the Reader, because it is impossible to put this book down. It’s been a while since I’ve read a crime thriller, and I’m so glad this was the one to break the drought. What attracted me to this book was the fact that it has twenty-six different authors. And not just any authors – these are the elite wordsmiths of the suspense thriller genre, including Jeffrey Deaver, Kathy Reichs, Raymond Khoury and Faye Kellerman. Compiling a book with a single plot and asking such a large number of established authors to write just one or two chapters each is a huge and daring undertaking. It could be a recipe for disaster – just imagine the ego issues! Given that this book is a crime thriller with complexity of story, characters, clues and twists, the potential for catastrophe just magnifies. But this book is fabulous! Brother and sister team Andre and Lamia Gulli have managed to create something special. Maybe it’s because each author had just one or two chapters to write. Maybe it was the peer pressure amongst writers, stirring a desire to submit the cleanest and sharpest submission possible. Whatever the reason, the writing in this book is superb. There are no lulls and no eyes skimming over the boring bits. There is just tight, polished writing which moves the plot along at breakneck speed. The story revolves around the murder of Christopher Thomas, curator of the Museum of Fine Arts. His wife Rosemary is tried, convicted and executed for his murder. Ten years on, the detective who cracked the case, Jon Nunn, is convinced he made a mistake. He is wracked with guilt as it was his testimony which essentially convicted Rosemary. He embarks on a mission to track down all the suspects and uncover the truth. This is a true page turner – on steroids. In the foreword David Baldacci promises the reader that they will be surprised by the denouement, as “it’s a twist that is so original you won’t have to concern yourself with bragging on your blog about how you figured it all out long before the conclusion”. He’s right. It is original, and no, I can’t brag. No Rest for the Dead is one of those books that you race to read, and then regret having finished so quickly. It would appeal to many readers, from teens who enjoy crime fiction to your great grandma. Make sure you pack this one for your next holiday.